Gary S. Lincenberg Attorney Profile | Bird, Marella, Boxer, Wolpert, Nessim, Drooks, Lincenberg & Rhow, P.C. Gary Lincenberg concentrates his practice on the defense of white collar criminal prosecutions, government investigations and complex civil litigation. He is considered among the most experienced, trial-tested and skilled trial attorneys in the country. He has handled a wide variety of cases, including False Claims Act, FCPA, securities, investment, tax, real estate, banking, money laundering, money remitting, government contractor, economic espionage, export, health care, environmental, public corruption, program fraud, and intellectual property cases. Prior to joining Bird Marella 25 years ago, he served over six years as an Assistant United States Attorney. Mr. Lincenberg is a Fellow of the American College of Trial Lawyers. He served as the National Co-Chairman of the ABA’s White Collar Crime Committee; Co-Chair of the CJS ABA Liaison Committee to the Department of Justice; Lawyer Representative to the Ninth Circuit Judicial Conference; President of the Los Angeles County Chapter of the Federal Bar Association; and Chairman of the ABA Southern California Regional White Collar Crime Committee. Mr. Lincenberg is an instructor at Harvard Law School’s Trial Advocacy Class. He regularly participates in professional activities integral to his success – presenting lectures, writing, and volunteering in the community – along with continually improving his skills in counseling, negotiating and arguing in court. Mr. Lincenberg is regularly recognized among the top white-collar defense attorneys in all of the leading publications. Chambers & Partners USA ranks Mr. Lincenberg in the selective Band 1 group. Chambers describes him as “marvelous,” and “quick to adapt to changing circumstances in the courtroom.” Super Lawyers recognizes him as one of the Top 100 Southern California Lawyers – one of only five white collar crime specialists to be so honored. Mr. Lincenberg is best known for his strategic approach to avoiding charges against his clients and for his superior skills at trial. Many white collar defense attorneys rarely try a criminal case, and have never defeated the government at trial. Mr. Lincenberg has an extraordinary record of success at trial, including complete victories, or hung juries resulting in dismissals, in five of his last six criminal trials. He has been retained by a host of large companies such as Plains, Providence, BlackBerry, Epson, Yahoo, KB Homes, Unocal, Marathon Oil, Raytheon, Northrop, Meggitt, Woodward, Sunrider, HP, Las Vegas Sands Corporation as well as scores of companies and their executives. Lead Counsel for Plains All American Pipeline, a Fortune 150 company charged with crimes allegedly arising from an oil spill off the coast of Santa Barbara. Obtained dismissal of 37 out of 46 counts in a four month trial. Obtained dismissal with prejudice for Chicago attorney/NFL sports agent in investment fraud case. Won dismissal of all charges against executive of Chinese public company charged with theft of trade secrets. Successfully defended a UCLA professor against felony conflict of interest charge. Won appeal. Successfully defended a health care provider against reporting charges, resulting in dismissal at trial. Successfully defended a CFO against revenue recognition and options backdating criminal and SEC prosecutions in New York. Mr. Lincenberg recently hung the jury in two successive trials leading to dismissal of all charges followed by settlement on a lesser charge. Successfully defended a Beverly Hills broker-dealer in SEC and private plaintiffs’ allegations of market manipulation. 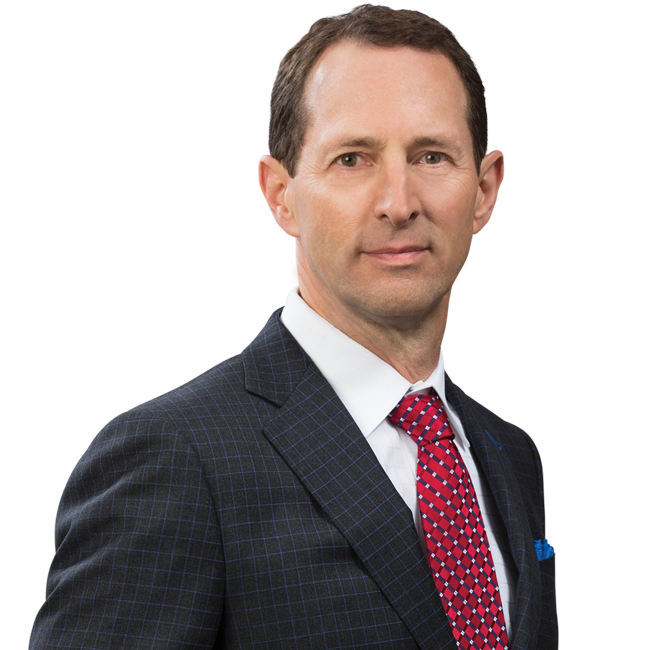 Mr. Lincenberg recently won a jury trial in state court in California on a parallel civil case alleging fraud and civil racketeering, won a motion to dismiss a parallel civil suit in federal court in New York, and continues to fight in the parallel SEC case. Successfully defended companies and executives of public companies in several pending FCPA investigations. Defended the CEO and owner of a prominent garment industry company charged in a $15 million workers’ compensation fraud case, resulting in a probationary sentence. Successfully represented public telecom company in patent, breach of contract case, and internal investigation matters. Defended a high-profile financial services client in pending criminal and SEC prosecutions involving alleged affinity investment fraud. Successfully defended religious institutions in a tax, money laundering, and money remitting prosecution that shook a global charitable network. After winning a motion to suppress a search, Mr. Lincenberg settled on the eve of trial with the dismissal of all counts against four of the five organizations, and a small fine against the fifth. Represented a physician in a seven-week, four-defendant health care fraud trial. After the jury hung 10-2 in favor of acquittal, Mr. Lincenberg persuaded the U.S. Attorney’s office to drop the criminal case and settled the civil case on a non-fraud basis for a tiny percentage of the alleged dollar amount. Represented the former president of a bank considered by the media to be a poster child for the national mortgage crisis in an SEC case and grand jury investigation. All charges were avoided. Defended a public company under investigation in Southern California for export crimes. After the Assistant U.S. Attorney announced his intention to indict, Mr. Lincenberg persuaded the AUSA’s supervisors to overrule this decision and entered into a Non-Prosecution Agreement with zero penalty, believed to be the first of its kind in this area. Defended the former CEO of an optical communications company in a shareholder derivative action, resulting in no liability for the executive, following a declination by the SEC. Defended a founder of a high tech company in an investment fraud/tax prosecution. Defended an Illinois-based defense contractor and its two owners against federal allegations that they overcharged the government in a series of military contracts extending over a decade. Mr. Lincenberg avoided indictment of the owners in the criminal case and achieved a global monetary settlement for the company of about ten cents on the alleged dollar. Represented a major real estate developer of one of the largest undeveloped land parcels remaining in Los Angeles County. Mr. Lincenberg defended the client against environment crime charges and, on the eve of trial, reached a favorable civil settlement with the district attorney’s office. Forced a civil settlement for payment in full on behalf of a fiber distribution company. Defended dairymen throughout the Chino Valley in Clean Water Act investigations related to the release of runoff water. Through creative and aggressive defense strategies, Mr. Lincenberg has resolved each of these cases with no prison sentences for any clients. Serve as lead counsel for a highly successful, private investor in connection with a current, high-profile insider trading case under investigation by the SEC and USAO. Obtained a non-fraud settlement for stock broker clients and a declination of criminal prosecution. Mr. Lincenberg achieved this against the backdrop of numerous others being charged by the DOJ and SEC with fraud and criminal convictions. Conducted a wide-ranging investigation focused on the export practices of the Orange County unit of a global aerospace consortium. In the course of the international inquiry, Mr. Lincenberg managed the joint defense team for several individuals facing criminal allegations, and led negotiations with the FBI, DOJ, NCIS, IRS, the State Department and other government agencies. Following the issuing of his report and lengthy meetings with the U.S. Attorney’s office and government representatives, he persuaded the government to reverse its intent to indict his client. Earned trial acquittal for a doctor accused of Medicare billing fraud. His client was one of several doctors charged in connection with mobile respiratory therapy. While the other physicians pled guilty, Mr. Lincenberg took the matter to trial and achieved his client’s complete acquittal on all counts. Represented numerous providers in connection with threatened criminal charges arising from alleged violations of standards of care. These include conditions in skilled nursing facilities, care provided at cosmetic surgery centers, improper supervision of medical staff, and others. Mr. Lincenberg has successfully convinced numerous agencies to decline to charge such cases and/or even to dismiss those already charged. Represented a duck farm in a criminal investigation of a workplace death. Mr. Lincenberg eventually persuaded government regulators that his client had not violated any statutes. Defended a corporation and individual clients in a state occupational safety investigation connected to an explosion at a toy factory, and convinced state prosecutors to decline to bring charges. Cleared nursing home worker of responsibility, and set new law, in his defense of one of several nursing home employees charged by the state with violating certain nursing home regulations. Mr. Lincenberg achieved a ruling from the appellate court establishing new law that individual employees cannot be charged with violating these regulations. This caused the entire case to be dismissed. Successfully defended hospital employees in skid row/patient dumping claims. Defeated nursing home patient death claims and kickback investigations. In his representation of several nursing homes, Mr. Lincenberg has defended administrators and facilities in various claims. These include defeating claims in connection with patient deaths and investigations into claims of kickbacks from vendors. Providing continuing counsel to an international government contractor connected to inquires made by Homeland Security and other agencies concerning vendor sales to sanctioned parties, FCPA violations, fraud and other allegations of wrongdoing. Conducted dozens of confidential internal investigations for companies in response to whistleblower allegations, private complaints, and government investigations. Successfully defended Presidential Appointee in public corruption investigation. Defended the City of Los Angeles in a lawsuit by the estate of rap star Biggie Smalls claiming that city police officers conspired with rap star Suge Knight in his murder. Won the case on summary judgment. Moderator and Speaker at over 100 conferences and seminars on white collar crime topics, including regular speaker at ABA National White Collar Crime Conference attended by over 1,000 attorneys every year. Author, “A Patriotic Critique of the PATRIOT Act,” 24 Los Angeles Lawyer, No. 11, February 2002.